Be a part of the celebration! This year will mark Alexander von Humboldt’s 250th birthday and to celebrate, we are collecting the best and most exciting shots for a vibrant photo exhibition that will be presented to at the May Kolleg in Ottawa. If you have a great photo from your Humboldt experience, we want you to share it! Show us what made your Humboldt experience so special. 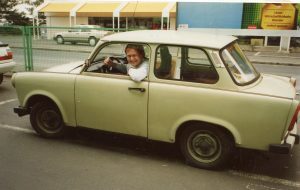 Whether you were there when the wall came down or you had a momentous advance in your research or you survived your first drive on the Autobahn or you just discovered Leberkäse…or, if you were a Lynen Fellow, share your experience outside of Germany! The photos collected will also be hosted on the HAC and HFLOC websites. Please include your name, the location and year of photo, as well as a brief caption. Deadline is 15 April 2019. I own the attached image(s) and hereby grant permission to the Humboldt Foundation Liaison Office in Canada (HFLOC) to use them in presentations, publications, news releases, online, and in other communications related to its mission. I understand that I may revoke this authorization at any time by notifying HFLOC in writing. 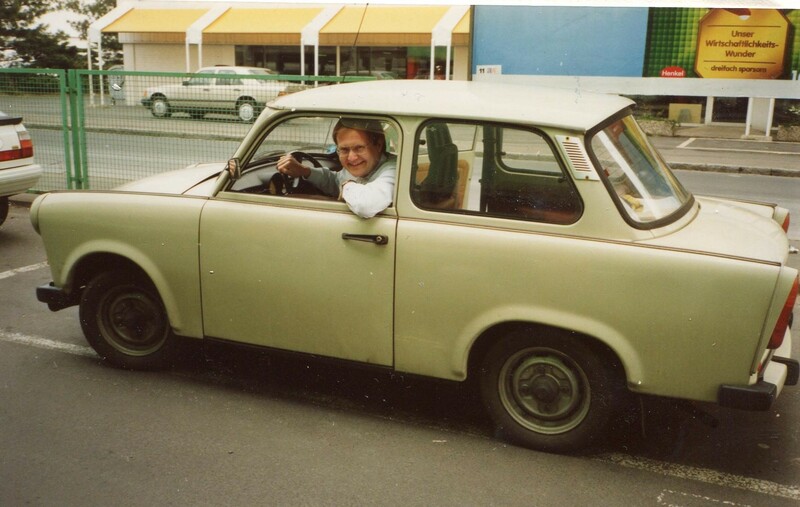 Dr. Dietmar Kennepohl was kind enough to share the following picture with us as an example. The Humboldt Association of Canada is now accepting abstracts for a Kolleg themed ‘Transitions’, to be held in the University of Ottawa from May 9 to May 11, 2019. The details of the Kolleg can be found here. The abstract submission deadline is September 15, 2018. Abstracts may be submitted here. The zoologist, biologist, primate researcher and Canada Research Chair Prof. Colin A. Chapman of Mcgill University has been chosen to receive the Konrad Adenauer Research Award of the Alexander von Humboldt Foundation. Read the news article on the Humboldt Foundation website by clicking here. Prof. Alice Kuzniar, University Research Chair and Professor of German and English at University of Waterloo was awarded the Hans-Walz Research prize by the Robert Bosch Foundation in recognition of her work on the history of homeopathy and her book, The Birth of Homeopathy Out of the Spirit of Romanticsm. Stahnisch, F.W. and Russell, G.A. (eds. ): “Forced Migration in the History of 20th-Century Neuroscience and Psychiatry – New Perspectives”. London, England: Routledge 2017. The forced migration of neuroscientists, both during and after the Second World War, is of growing interest to international scholars. Of particular interest is how the long-term migration of scientists and physicians has affected both the academic migrants and their receiving environments. As well as the clash between two different traditions and systems, this migration forced scientists and physicians to confront foreign institutional, political, and cultural frameworks when trying to establish their own ways of knowledge generation, systems of logic, and cultural mentalities. The twentieth century has been called the century of war and forced-migration, since it witnessed two devastating world wars, prompting a massive exodus that included many neuroscientists and psychiatrists. Fascism in Italy and Spain beginning in the 1920s, Nazism in Germany and Austria between the 1930s and 1940s, and the impact of the Soviet occupation of Eastern Europe all forced more than two thousand researchers with prior education in neurology, psychiatry, and the basic brain research disciplines to leave their scientific and academic home institutions. 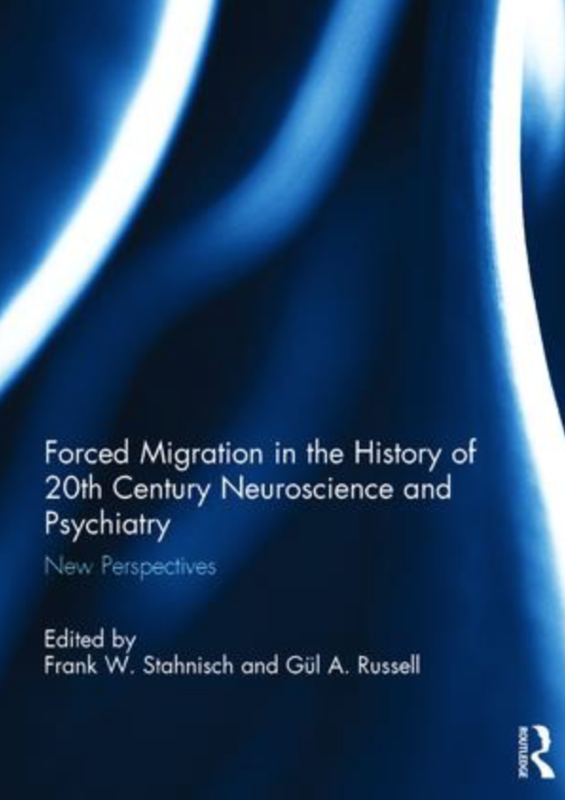 This edited volume, comprising of eight chapters written by international specialists, reflects on the complex dimensions of intellectual migration in the neurosciences and illustrates them by using relevant case studies, biographies, and historical surveys. DAAD Alumni, current scholarship and grant holders and friends of DAAD Canada in Montreal are invited to attend an informal meet-up on Wednesday, October 18th from 7:00 – 9:00 pm at L’amère à boire (2049 Rue Saint-Denis). Come meet your fellow alumni for some socializing and networking. The first round of drinks is on DAAD and light refreshments will be provided. Hope to see you there! Les anciens boursiers, les boursiers actuels, ainsi que les amis du DAADsont conviés à une rencontre informelle le mercredi 18 octobre de 19 à 21 heures à la brasserie artisanale L’amère à boire (2049, rue Saint-Denis). Le DAAD offrira la première consommation à ses convives. The Kolleg focused on the theme of „Time“ held in Toronto from May 5-8 was highly successful, bringing together a total 95 scholars which included 31 Early Career Scholars, 12 Other Scholars and 22 DAAD alumni. The expenses related to the 22 DAAD Alumni are covered by a separate grant from the DAAD. Thus, the costs of the 73 participants who are not DAAD Alumni are counted in the in the funding request to the AvH. Feedback from all attendees of the conference were universally positive. There were several factors which contributed to the success of the programme. 1. The choice of ‚Time‘ as a central theme. The theme allowed participation of scholars from a wide range of disciplines, with enthusiastic response to our initial call for papers. Indeed, several submissions, late in the planning of the conference, could not be fitted into the programme due to constraints within the 3-day programme. As evidenced by the papers presented, this Kolleg showcased a truly multi-disciplinary academic exchange amongst scholars at throughout the conference. 2. The 3-day duration of the conference. Three full days allowed for scheduling of general sessions with talks from scholars across disciplines to facilitate multi-disciplinary exchange. The concurrent session, which were programmed with speakers within the same/similardisciplines allowed for more indepth content-specific discussions. Moreover, as can be seen in the attached programme, all sessions included talks from both early and established scholars with the view of generating and fostering discussions amongst potential mentors and mentees. The duration of the meeting also allowed for ample time during breaks to allow discussions initiated within sessions to continue at more informal settings. The Campbell Conference Centre, embedded in the Munk School of Global Affairs, was specifically chosen to foster discussion and networking. Designed in the tradition of Oxford University College quadrants with the meeting rooms at each side of the central quadrant, the open spaces in the quadrant (both indoor and outdoor) with benches and tables allowed for conversations in an informal setting throughout the 3 days of the conferences. Indeed, the both indoor and outdoor spaces were much used by the delegates for conversations during the breaks throughout the meeting. 4. Participation of 31 Early Career Scholars. 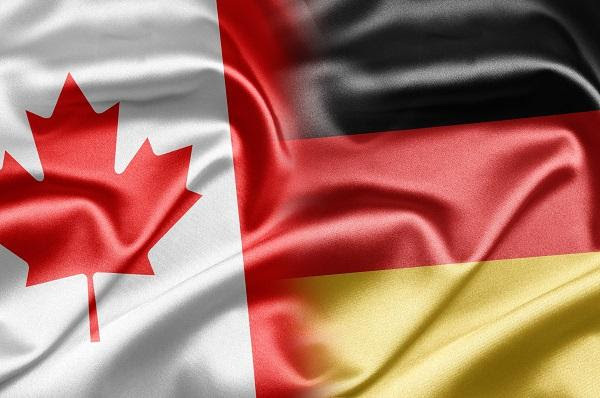 A concerted effort was made via contact with the DAAD, AvH alumni, personal meetings with Post-Graduate Training Offices and International Relations Offices of the many universities in Ontario and Quebec to invite Early Career Scholars to the Kolleg. Our success in recruiting 31 Early Career Scholars was compounded by their active engagement as Speakers, Session Chairs and Round-Table Discussion Leaders. The feedback from these Early Career Scholars was outstanding with at least 3 who are now stimulated to actively pursue further research studies in Germany. 5. The bus excursion to the wineries and dinner in the Niagara region on Saturday afternoon and evening. the lively discussions amongst the delegates that continued well after our dinner round table discussions. mit großer Betroffenheit und Anteilnahme nimmt die Alexander von Humboldt-Stiftung Abschied von ihrem langjährigen Generalsekretär Dr. Heinrich Pfeiffer, der am 22. Dezember 2016 im Alter von 89 Jahren unerwartet aus einem erfüllten Leben genommen wurde. In den letzten Tagen erhielten wir bereits viele Beileidsbekundungen aus aller Welt, die von den lang gepflegten Freundschaften und dem großen Respekt, den Heinrich Pfeiffer weltweit genossen hat, zeugen. Ohne ihn wäre die Humboldt-Stiftung eine andere; und ohne ihn wäre die Humboldt-Familie nicht geworden, was sie ist! Seine Lebensleistung wird in den vielen Erinnerungen der Humboldtianerinnen und Humboldtianer, die uns in diesen Wochen erreichen, nochmals gewürdigt. Um diese Erinnerungen und die große Bedeutung von Heinrich Pfeiffer für Sie persönlich und für das gesamte Humboldt-Netzwerk noch einmal sichtbar zu machen und zu teilen, hat die Alexander von Humboldt-Stiftung ein elektronisches Kondolenzbuch eingerichtet: https://www.humboldt-foundation.de/web/kondolenz-heinrich-pfeiffer.html. Falls Sie es wünschen, können auch Sie darin persönliche Abschiedsworte schreiben. It is with great sadness and deepest sympathy that the Alexander von Humboldt Foundation bids farewell to its long-term Secretary General, Dr Heinrich Pfeiffer, who died suddenly in the midst of a full life on 22 December 2016 at the age of 89. In the last few days, we have received many messages of sympathy from all over the world, bearing witness to the many old friendships he maintained and the great respect in which he was held worldwide. Without Heinrich Pfeiffer, the Humboldt Foundation would not be what it is today, and without him, the Humboldt Family would not have developed as it has! In the current weeks, his life’s work is being honoured once again in the many memories being sent to us by Humboldtians everywhere. In order, once again, to showcase and share these memories and the enormous importance of Heinrich Pfeiffer for you personally and for the Humboldt Network as a whole, the Alexander von Humboldt Foundation has opened an electronic Book of Condolence at https://www.humboldt-foundation.de/web/condolence-heinrich-pfeiffer.html. If you wish, you can take the opportunity to add your own words of farewell.